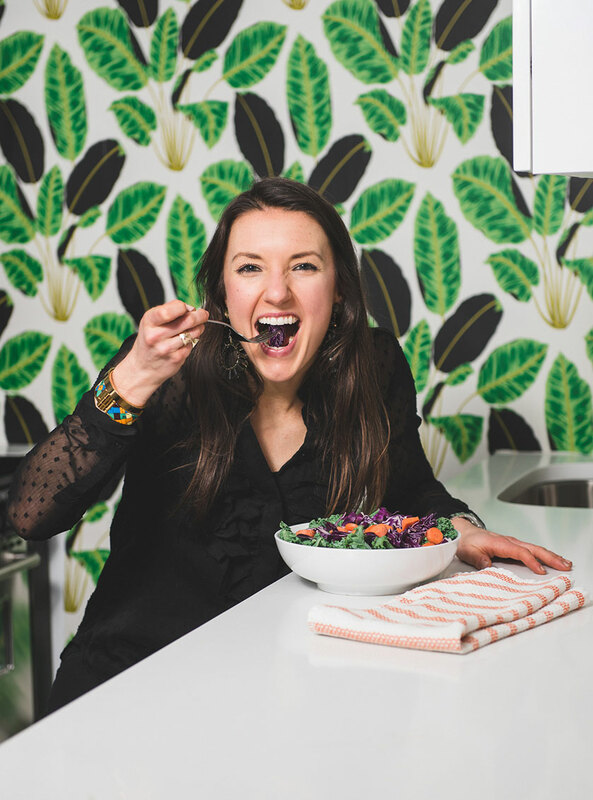 This hearty kale salad is an all-time favorite of mine and is inspired by a salad made at Whole Foods here in New York City. This salad is particularly delicious due to the addition of the roasted sweet potato and pomegranate seeds, I often find myself eating a rather larger portion of it! The more veggies the better, right? 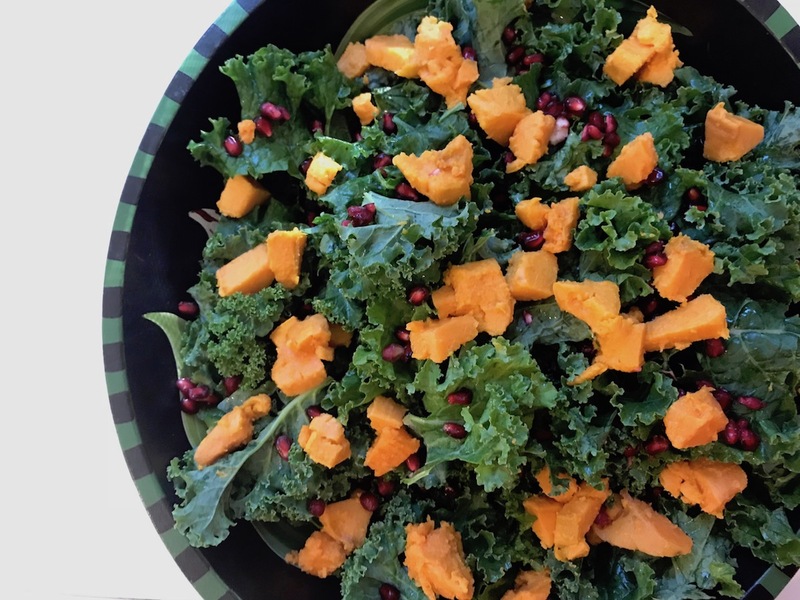 This salad is a great source of healthy nutrition as the kale is rich in nutrients like iron, b-vitamins, vitamins A and C, folate and more. Oh and not to mention, kale is also a great source of fiber too. But that’s not all this salad is packing, pomegranate seeds and sweet potato are loaded with nutrients as well. For example, pomegranate seeds are packed with antioxidants and plant-based nutrients like anthocyanin- an anti-inflammatory compound; and sweet potatoes are loaded with beta carotene that’s healthy for hair, nails and skin as well as vitamins A, C, and ellagic acid, which may help prevent tumor growth.